The hamlet of Kermincham lies in the parish of Swettenham, about 5 miles north west of Congleton. The parish consists of several farms with geographic names, e.g Brook Farm, Ashtree Farm and some higher status dwellings. Kermincham Hall, Rowley Hall, and Kermincham House (formerly Lodge). The accompanying farmland all surround another farmstead named Old Hall Farm which may be a much older site than the others. Kermincham Lodge has a very defined circular boundary on Greenwood’s Map. 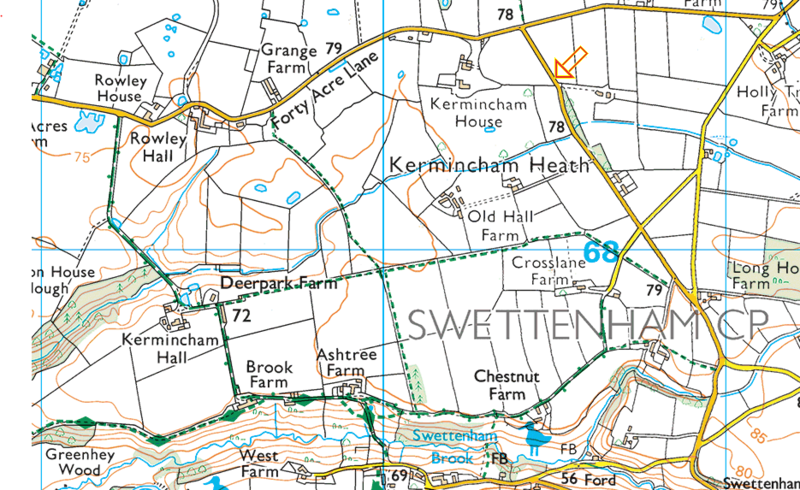 To the east of here, lies Kermincham Common, an area of heathland, which can still be evidenced in the names Heath House and Lower Heath Farm. 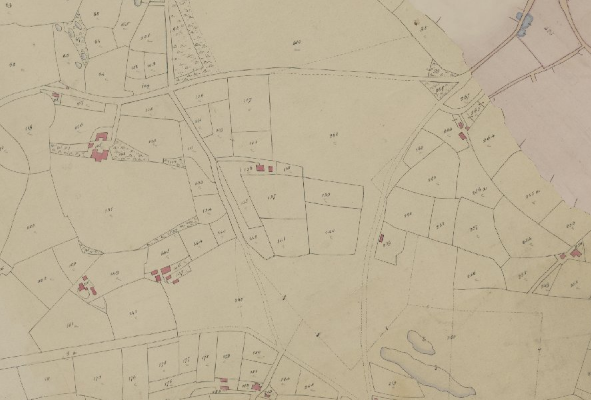 On the 1839 Tithe Map there are large areas of this land which have not been enclosed. To the north of Forty Acre Lane lies a plot named Large Heath Inclosure, an area cleared out of the existing woodland which still remains on two sides. What we now know as Long Lane traversed southwards with a few enclosed fields either side, then out into open heathland before ending up at Long House Farm. By 1875 however, Enclosure was complete, with the lane flanked with neat rectangular fields leading down to the newly realigned Congleton Road. 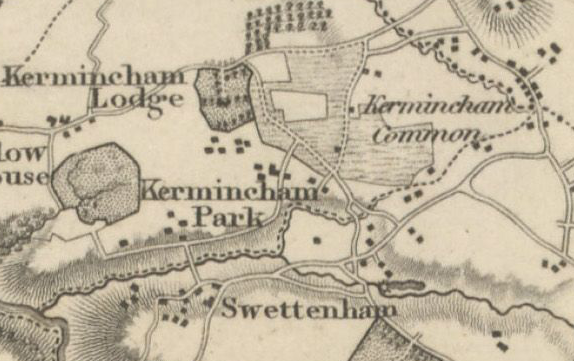 Towards the west of the settlement lies Kermincham Hall, which again on Greenwood’s map is shown as an almost circular enclosure, called Kermincham Park. This residence was once part of the Mainwaring Estate and dates from the mid 19th century, built on the site of an earlier house. 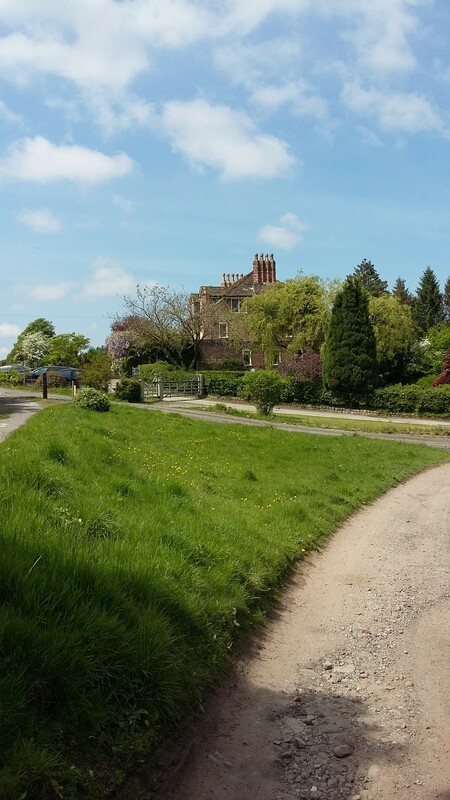 The original house which was built in 1718, lay in a large D-shaped deer park, of approximately 52 acres, and was approached by a long driveway from Kermincham Heath, which now survives as a footpath from the driveway of Dell Farm on Congleton Road. 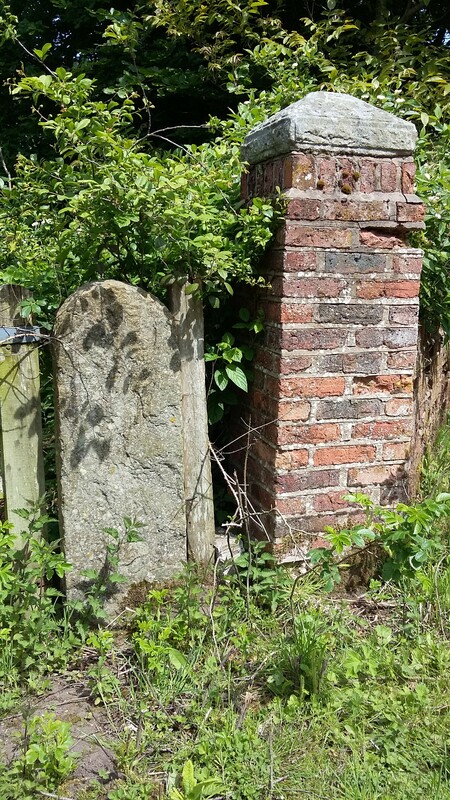 Most of the perimeter brick wall still exists, and would probably been built with locally made bricks; one field near Forty Acre Lane which adjoins the park boundary is marked as Brick Kiln Field on the Tithe Map. 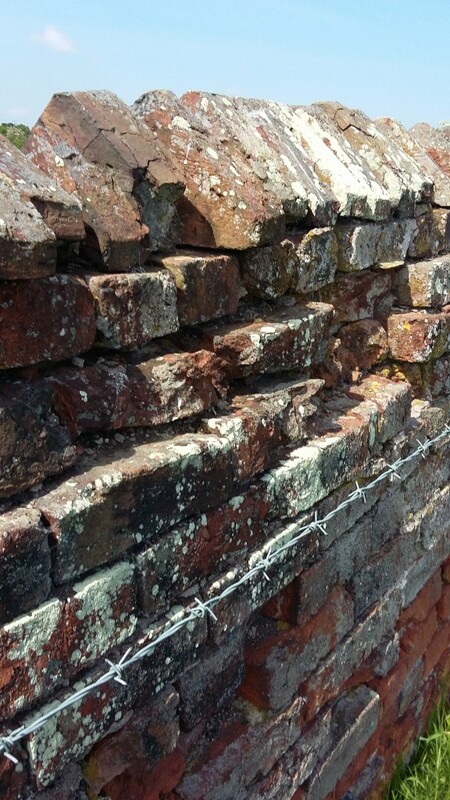 In most places, the wall is four bricks deep, allowing for cross bricks for added strength. 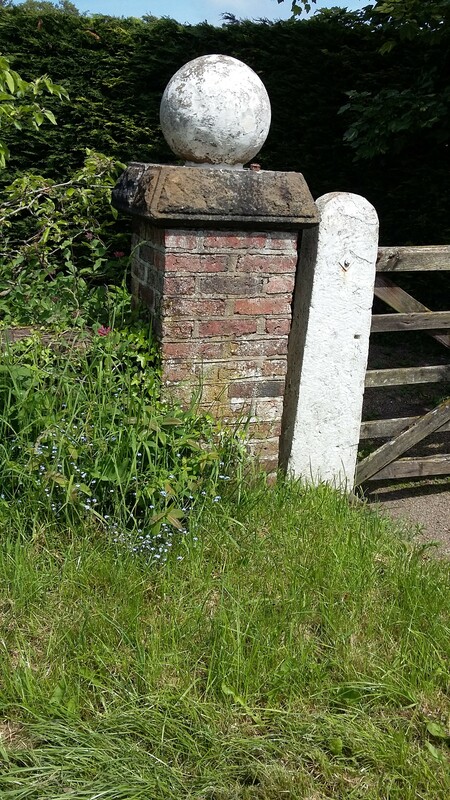 It stands approx 1.30m high, with triangular coping bricks, rough hewn yet consistent in size, showing marks of workmanship, with some areas of the main wall English Bond, and others Flemish Bond. 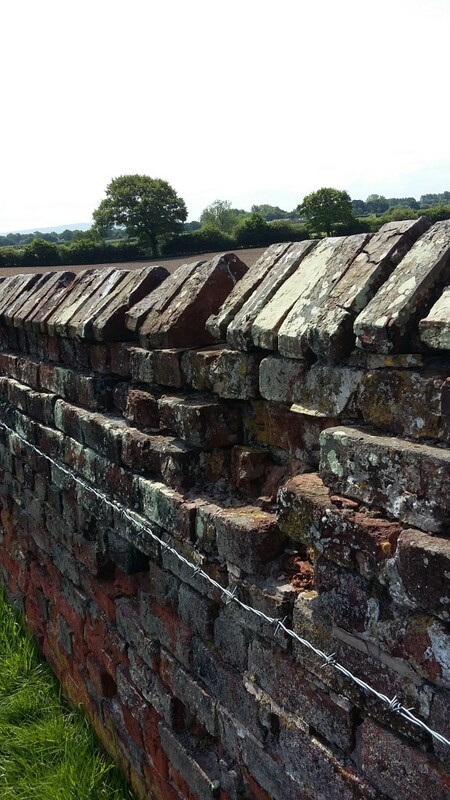 Where coping bricks have either crumbled away or been robbed out, repairs have been carried out over the years, leaving a narrower top to the wall. As the wall nears Kermincham Hall, the coping bricks change to coping stones, perhaps a grander facade to have on the wall that forms part of the former driveway. 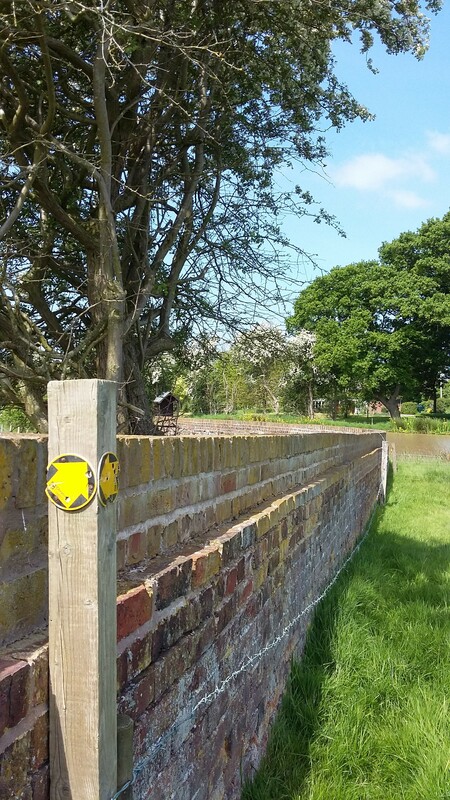 As the driveway approaches the house it pass alongside Deerpark Farm and there is more evidence of the perimeter walls and gateways into the former parkland. 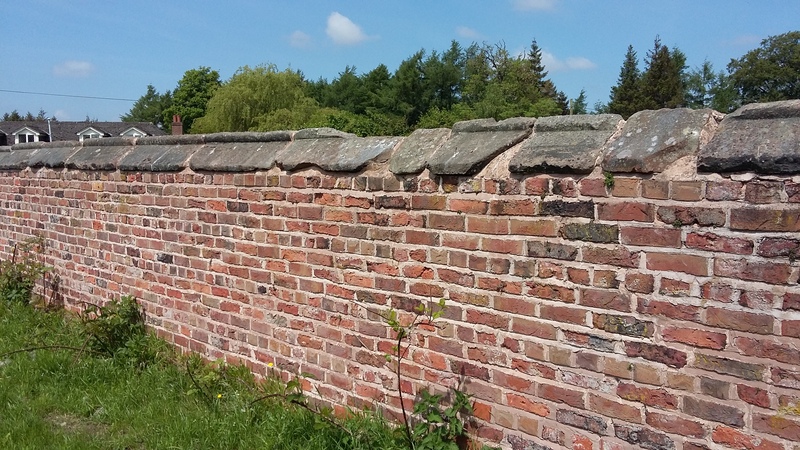 The wall then bends round to the right, briefly following the new entrance road to the Hall, before veering sharply north east to complete the boundary. These walls are a remarkable survival of this parkland, of which little written record survives, but remain a striking and beautiful feature of this aspect of manorial life.